If you’re interested in ‘rock’ music of the 20th century then this is one book you need to read. Try to get the hardback version – it’s well illustrated throughout with photographs of key people and places (the paperback has less photos and these are all squashed together in the middle of the book). There are a number of pages devoted to the story of Captain Beefheart in his own right, although there is nothing about him after 1972. However, you will find a lot of additional information about related people and bands – Frank Zappa, Little Feat, Ry Cooder, Rising Sons etc. 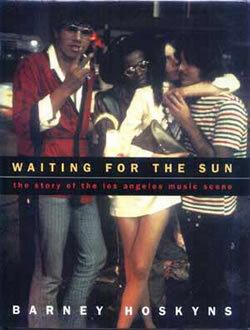 The book gives a good look at what was happening musically in Los Angeles and how much of it was interlinked. Pretty thorough … and there’s not many music books that give Zoogz Rift a mention! 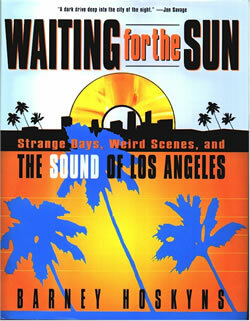 Subtitled ‘Strange Days, Weird Scenes, and The Sound of Los Angeles’ in the US and ‘The Story Of The Los Angeles Music Scene’ in the UK.